On February 3, 1953, one of the worst atrocities of the second half of the 20th Century in a tiny nation occurred when the Portuguese colonial administration and the planters on the island of São Tomé in the tiny island nation of São Tomé and Principe massacred 2000 “creole” peasants (known as forros) when the peasants hesitated to agree to work the sugar cane, coffee, and cacao fields. Portugal had colonized the small islands off the Equatorial Atlantic coast of Africa in 1493, and as was the fashion of the time, enslaved the native African people and imported other Africans as slaves to work the cane fields that were planted. 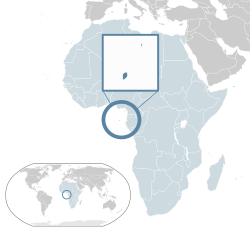 São Tomé is the larger island, about 330 square miles to a paltry 56 square miles for Principe. Communication between Portuguese and Africans was a mixture of languages that was called “forro creole,” and the descendants of those slaves were called mestiços (mixed race people). The mestiços had always refused to work in the fields, thinking that work was beneath them, work fit only for slaves or contract laborers from the mainland of Africa. The forros were labeled as “communists” and fearing some sort of revolt, the Portuguese overlords overreacted, and the massacre was on, some of which was quite horrible! The crisis was precipitated by a lack of adequate labor to tend the fields, and the refusal of forros to make up the needed labor force was intolerable to the Portuguese. The violence built up gradually as the colonial government instituted measures meant to force forros to work the fields, squeezing the poor people economically and politically until unrest became severe. When a police officer killed a forro, the fuse was lit. In one case, 28 or more forros were suffocated in a cell, and in another case 20 forros were burned to death. Other forros were tortured, often to death, until 2000 or so had been killed. Many hundreds of bodies were tossed into the ocean. The investigation of the massacre by Portuguese authorities concluded that no such communist plot had existed, but the island’s governor was allowed to return to Portugal where he received a promotion and acclaim! Seven forros were tried for killing 2 police officers, all convicted. In the 1970’s nearly all the Portuguese had left São Tomé and Principe, and in 1975 the tiny country was given its independence. The population today is nearly 200,000 (second least populous African country), but back in 1953 it was only around 60,000, meaning those murdered in the Batepa Massacre constituted a whopping 3.33% of the population. (In the US that would be over 10 million people.) The sugar cane crop has been replaced mainly by cocoa production, with lesser amounts of coffee, palm kernels, and coconuts grown. About 90% of the food eaten by humans on the islands has to be imported! The country remains poor and the people ill-educated (only 4 years of schooling is mandatory), but at least they are not being massacred. São Tomé and Principe ranks as the 202nd richest country in the world out of 211 countries (or the 10th poorest for the glass half empty crowd). Since independence in 1975, February 3 is a day of remembrance for those people killed during the Batepa Massacre. (Note: The name Batepa stems from the name of a small village that was the epicenter of the massacre.) What other massacres in such a tiny country can you think of? Francisco, Alberto da Boa Morte. Excorcising Devils from the Throne: Sao Tome and Principe. Algora Publishing, 2011. Previous ArticleWhy is Innovation in Fashion Indispensable? Next Article February 4, 1999: Cops Try to Save Man Shot 16 Times, EMS Won’t Come!